Still, that doesn’t mean you should just approach a blackjack table and throw down your chips. You still need to know what you’re doing in order to be competitive, particularly in a game like this that intertwines chance and skill. With that said, here are five tips for the next time you sit down at a table. If your main exposure to blackjack has been through the movies, you might have fanciful ideas about counting cards, or at least trying to. This is pretty much a bad idea all the way around. For one thing, the movies scenes aren’t usually accurate. For another, most casinos will kick you out if they suspect you’re counting cards, even if it’s not expressly illegal. And perhaps most important of all, you almost certainly aren’t going to do it right anyway. Counting cards is incredibly difficult – it’s not something you can just try out on a whim. You’ve probably heard the expression that a gambling table is either hot or cold. Indeed, if you’re a fan of the film Ocean’s 11, you may even recall that George Clooney mutters “table’s cold, anyway,” before getting up to leave a blackjack table. This is a common sentiment among regular players, and keep in mind many of them are pretty suspicious about their cards. But there’s no actual mathematical situation that could turn a table hot or cold. Luck simply fluctuates (unless there’s a crooked dealer). The truth of the matter is that while there’s plenty of luck involved, blackjack is a game of mathematical probability. You should know when to make decisions like hitting or standing, or even doubling or splitting your cards, and none of these decisions are about gut feeling. They actually come down to understanding the odds and probabilities about what you’ll be able to do with a given pair of cards you’re dealt at the beginning of each hand. It can all be learned fairly quickly and easily, but don’t neglect that process. I just mentioned doubling and splitting your hand. If you’re not sure what these terms refer to, chances are you need to brush up on the intricacies of the game. 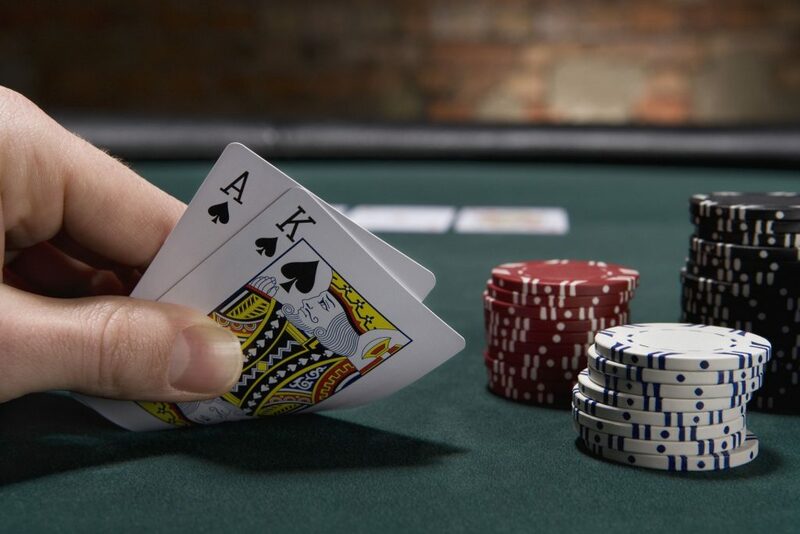 Most people (particularly those reading a blackjack article right now) are aware of the basic structure of the game: trying to “hit” or “stay” until your cards get as close to 21 in total value as possible without going over. But there’s actually a lot more to it than that, and a nice little personal refresher course complete with some free trial runs online or through an app will help prepare you for the tables. This is a basic rule of thumb for all casino games, and it certainly applies to blackjack as well. The most important thing of all is to check your emotions in advance, and make decisions based on the rules and probabilities at hand. Choosing a riskier course of action because you’re happy about winning or frustrated with losing is usually a direct path to a losing game.